Shop our Year End Clearance Sale and take advantage of great savings as we make room for the new 2019 models. To clear out our inventory, every sales center has prices slashed on 2018 model manufactured homes. Save THOUSANDS on 2018 models. We're liquidating all of our 2018 your model homes and accepting all reasonable offers. No one loses out this deal! If the home is already sold we'll honor the discounted price on an ordered 2019 Model. 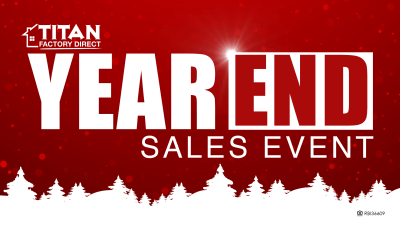 Don't miss out on the biggest savings of the year!